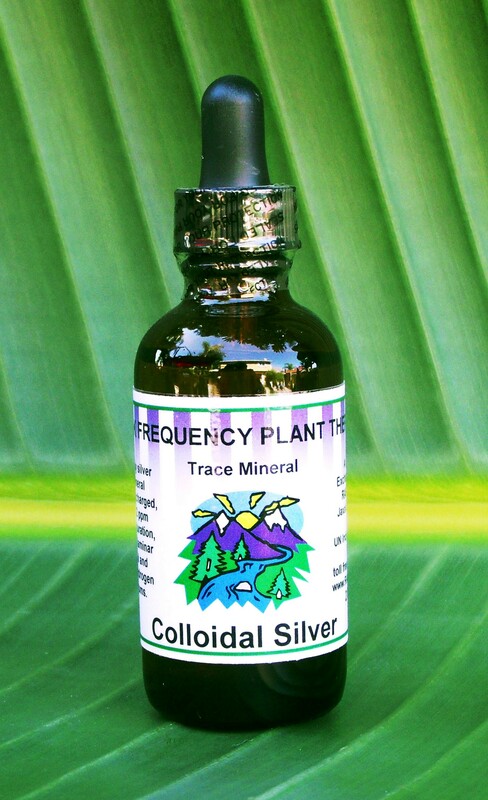 Colloidal Silver minerals (36 ppm) are microscopic linear particles of medical grade trace minerals dispersed in fluid for topical and internal use. Colloidal Silver is a prime trace mineral that comprises the healing, transport, immune, neural network, and replication systems of the human body, specially boosted in Peak Frequency's production process with laminar stone crystal, vibrational energies, and food grade hydrogen peroxide atoms. PFPT medical grade Colloidal Silver is electrolytically charged and applicable internally and topically and may eliminate harmful bacteria found in organs, teeth, and bones, muscle, and organ tissue. Harmful bacterial infection may produce illness such as flu, cold, fever, pain, odor, nausea, vomiting, pus, abscess, redness, swelling, and diarrhea etc, which may be eliminated with Colloidal Silver. Safe to use with all other supplements.